The art of teaching at Evergreen should be the art of arranging the conditions and moments when the student encounters problems and ideas so that important learning takes place; lives are touched, shaped and changed so that they become responsible, critical and creative life-long learners. The art of administration at Evergreen should be, must be, the art of protecting, stimulating, supporting, and rewarding good teaching. Because the art of really effective teaching is something we all learn together, and because the art of developing and teaching interdisciplinary programs is something that we will work at for years to come, the more experimental, creative, critical and self-corrective we are, the more successful we will all be. To ensure this, the faculty has been organized into many temporary, small, autonomous teams and each given a great deal of freedom and a great deal of responsibility, power and authority. The faculty, so organized, will always have access to the deans, the provost and the president. The deans, provost and president will always have immediate access to the faculty. 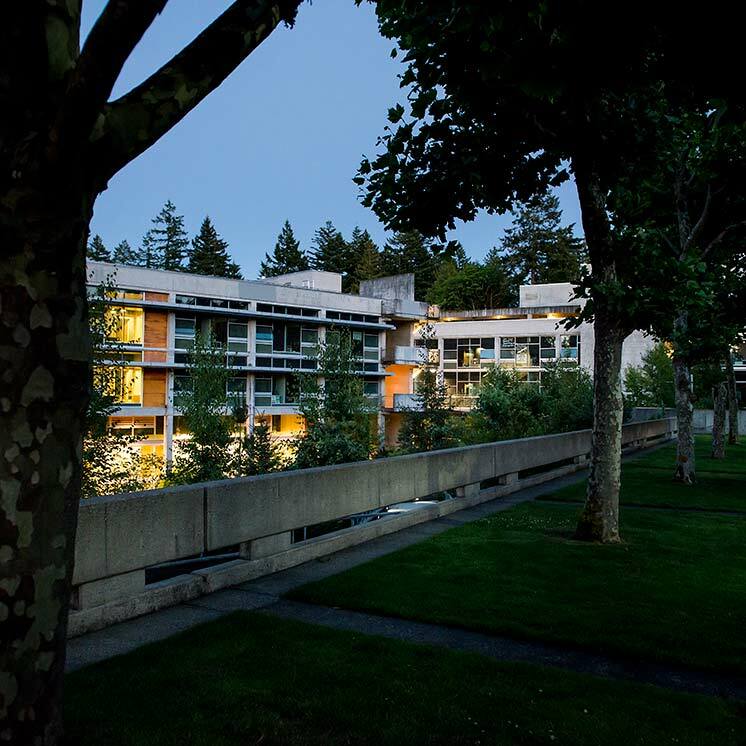 The academic structure of Evergreen enables faculty members to know and feel their stake in the success of their program--and their stake in the success of the Evergreen idea. When the structure did not support our goals, it was changed, and it will be changed again as need arises. In December 1985, the faculty adopted the governance structure described in the following pages. It is commonly referred to as the Faculty Governance Document. ACADEMIC POLICY is the major concern of the faculty. The scope of faculty interest is the curriculum and matters that impact it; faculty working conditions; and the quality of our intellectual lives. The main issues in this area are curricular content and forms of instruction (in all programs, including summer, off-campus, part-time, and graduate programs); faculty hiring, evaluation, retention, and salary scales; matters of budget, space allocation and equipment for teaching; and standards and procedures for student admission, advising, award of credit, retention, and graduation. Ultimately the trustees are the makers of college policy; but given that the faculty is responsible for the academic quality and reputation of the college, it expects its collective recommendations concerning academic policy to be heard, considered, and taken with great seriousness by the deans, the provost, the president and the trustees. The formal power of the faculty extends to a vote of no confidence in a policy, an administrator, or a governing, planning, or administering body. The PROVOST is expected to bring matters that fall within the scope of the faculty interest before us by bringing them to the attention of the agenda committee on a regular basis. The DEANS are faculty members charged with academic administration (see section 2.300). The FACULTY MEETING will continue to be a forum for policy discussions. The faculty wishes to have a procedure for ratifying or rejecting major policies, but experience indicates that the faculty meeting is not the best place for writing and revising the details of the policy. We therefore adopt the following procedure: the faculty will hear reports and may accept them in toto; it may remand reports, with advice, to their authors; or it may accept a report in part while remanding portions to the authors for reconsideration. When policies are remanded, the faculty may choose to hear another report from the authors, or it may authorize the agenda committee to accept a final version on its behalf. If it is urgent that there be some policy but the faculty is seriously divided or doubtful about specific options, then a report may be accepted, provisionally, for a specified period while further options are explored. It is assumed that these procedures will cover virtually all cases. Votes of confidence are reserved for extraordinary situations in which regular procedures do not suffice. We warmly invite, indeed we urge, the president, provost and deans to attend faculty meetings regularly in order to be aware of faculty opinion. Particularly, we invite the president to attend faculty meetings as an alternative to holding a separate faculty forum. We feel that a separate forum is inefficient and can cause confusion as to where faculty opinion is best expressed and heard. The AGENDA COMMITTEE will play a central role in faculty governance. The chair of the faculty will also be chair of the agenda committee. The agenda committee is a representative body. Membership is elected from the faculty on at-large basis. The agenda committee will consist of eight elected members, plus the chair of the faculty and the faculty representative to the board of trustees. Terms of the elected members will be two years, and at least four new members will be nominated and elected annually in the late spring. The chair will also be elected annually in late spring. It will be the normal expectation that the previous year's chair will serve as the faculty representative to the Board of Trustees. 1. To review agenda items, consulting with the deans and provost prior to the faculty meeting to set an appropriate agenda. Issues which the agenda committee agrees are only extensions of existing tradition and policy may be settled by the committee in consultation with the provost and deans and then reported subsequently to the faculty for review. Other issues will be brought to the faculty for discussion (and perhaps for a vote), by means of reports. The agenda committee may both receive and request reports on matters of concern to the faculty from the provost, deans, planning unit coordinators, and other agencies of the college. These groups may also request meetings with and reports from the committee. 2. To decide if an issue is best brought before the faculty in one large body, in smaller discussion groups such as the current governance groups, or in alternative formats (such as a policy hearing). If the faculty meets in smaller groups, a member of the agenda committee would preside. 3. To review with the provost and deans the charges, constitution and membership of all Disappearing Task Forces (DTF's)*, committees, and planning and governance bodies (of the faculty and college-wide). The agenda committee will review and approve all faculty members recommended to serve on such bodies before they are officially charged. It may also negotiate with expectation of result with the appointing officer the number or proportion of faculty members in the group. Members of the agenda committee may themselves represent the faculty in such important efforts as strategic planning, college-wide governance and the program review committees; or (alternatively) the committee may work with the provost and determine faculty representation. Faculty who are serving on DTF's will inform the agenda committee of the progress of their work, particularly when they need guidance from the committee or faculty, or when they are ready to report. The agenda committee may also charge DTFs. 4. To act on behalf of the faculty when necessary. In situations when it is not possible to convene the faculty, the agenda committee will be available for emergency consultation with the president, provost and deans (e.g., if guidance on the interpretation of the strategic plan or responses to a budget crisis is necessary OVER A BREAK). The agenda committee expects to be called in such events. Members who are available will be on year-round call; and in addition, each member of the agenda committee would agree to be available during one month each summer. They will be compensated on a per diem basis. There would thus be at least three members of the agenda committee available during each of the summer months. 5. The agenda committee shall also be consulted and actively involved in planning the yearly faculty retreats. 6. The agenda committee will report directly to the faculty with results of their meetings by distributing minutes and will publish a quarterly report on progress made in DTFs and on other academic issues. To promote faculty discussions in groups smaller than that of the whole faculty yet larger than that of teaching teams and planning units, each member of the faculty will be assigned on an annual basis to one of several governance groups. The groups will always be interdisciplinary and composed of a cross section of the faculty (full-time and part-time faculty; graduate, undergraduate, and library faculty; regular and temporary faculty, etc.). From year to year, the membership of the governance groups will be reorganized with the goal of avoiding the creation of permanent and potentially self-perpetuating units within the faculty. Governance group membership will be assigned by the academic deans and communicated to the faculty via the Agenda Committee. Participatory: engage the fauclty body in discussions; engage other affected constituents when necessary, ie.e., staff, students. Educate: play a role in educating those affected about the issues the DTF is working on, including staff, facutly and students. Facilitate: find creative ways for helping the faculty body discuss issues at faculty meetings, encourage faculty feedback and advice to the DTF, and facilitate effective processes for making fculty decisions on the issues under consideration. Follow through: Create a final report that identifies those responsible for follow through and distribute to faculty. Work with the agenda committee to take action on faculty decisions regarding the DTF;s work, if appropriate. Meet with the agenda committee, deans and Provost if necessary to create action or change. Final reports must be archived in the library and with college policies. If a DTF report or actions before the faculty is delatyed or tabled for any reason, send notification of such to the agenda committee and faculty. Notify the agenda committee when a DTF is ready to "disappear." * DISAPPEARING TASK FORCE (DTF) is a short-term ad hoc committee for the purpose of gathering information, preparing position papers, proposing policy, offering advice, or making hiring recommendations. During the the college's first year, DTF's were initiated to avoid the usual patterns of extensive standing committees and governing councils. DTF's have traditionally been consultative and collaborative in nature and have a diverse, broadly based membership. BUILDING COMMUNITY is a major goal of this proposal. This model does not, however, purport to solve all of the college's communication problems; rather, it authorizes further experimentation to improve communications. The chair of the faculty, assisted by the agenda committee, provost and deans, is charged with developing and maintaining an information structure which brings all important issues of academic policy before the faculty, so that the faculty can be sure they are involved in community affairs and are being heard. CLARITY AND CLOSURE are two further objectives of this model. It builds mechanisms for broad consultation with the faculty, and it allows the academic side of the college to reach and communicate a clear position on issues of academic policy. A corollary is that it provides a means of reaching and respecting closure on important issues. The decisions of the faculty on academic policy are binding upon faculty members, deans and the agenda committee when they represent the views of the faculty to other agencies or bodies. Since one of the functions of the strengthened faculty meeting is to reach collaborative conclusions regarding policy issues, members of the faculty who disagree with these conclusions should be encouraged by the deans, provost and president to take their concerns to the agenda committee and the faculty meeting, rather than to try to negotiate ad hoc exceptions to their colleagues' views. REPRESENTATION will be achieved through the governance groups. The agenda committee will consist of eight elected members, plus the chair of the faculty (who will preside), and the faculty representative to the board of trustees. Terms of the elected members will two years, and four new members will be nominated and elected annually in the late spring. The chair will also be elected annually in the late spring. It will be the normal expectation that the previous year's chair will serve as the faculty representative to the Board of Trustees.